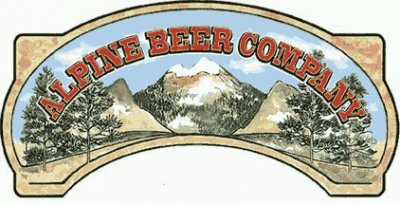 "Alpine Beer Company is starting off 2012 with some awe inspiring specials, some re-releases, a new beer release and, finally, an investment opportunity. Stay tuned as we adjust our cups and get ready for some heavy lifting to begin the New Year. This Friday, January 13th, along with our specials listed later, we’ll have a pin, which is a small cask, of specially dry-hopped “Whale” using Indie Hops Chinook and Nugget hops in the pin. On Tuesday, January 17th, for your drinking and growler fills, we’re bringing back “Hoppy Birthday,” the most celebrated beer in the world. Our 5.2% strong pale ale is packed full of hoppy goodness, like our IPAs, but lower alcohol for sustained imbibing. And, on the same day, Tuesday, we will, for the very first time, be releasing “Melonhead IPA.” This is our collaboration brew with Fat Head’s Brewery’s Matt Cole, a hell of a nice guy and a fantastic brewer. We used a new experimental hop HBC 342 exclusively in this 6.75% IPA. The descriptors indicated a citrusy, watermelon aroma which seems pretty accurate from our initial assessments. Growler fills, pints and pitchers only, no bottles. Shawn just reported that “melon” is a great descriptor and it tastes awesome. Bottling of “Chez Monieux” starts next week. We will do some analytical work on it to determine stability and let you know when it is available. Draft may be happening very soon, though, with a possible sighting this weekend. “Chez Monieux,” pronounced [sheym][awn][yoo], is a 7% abv Belgian-style Kreik made with Balaton Cherries. Balatons are tarter than the Montmorency Cherries and offer a unique flavor to this classic style. We are still on track to release “Exponential Hoppiness” on Friday, January 27th when doors open. Bottles will be the main supply as growler fills will be limited. We’ll also have it in the pub for as long as it lasts. Last time it lasted a whole week. For those unfamiliar, this is what we call our Triple IPA because its 11.25% abv. We dry-hop this monster a couple of times and even use body-bag sized mesh bags full of hop flowers for a dry-hop session with freshly cut American white oak chips for some vanillin and added complexity."